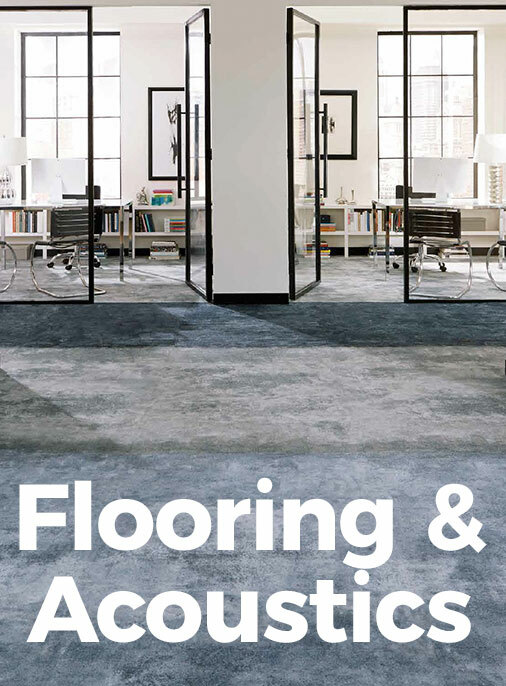 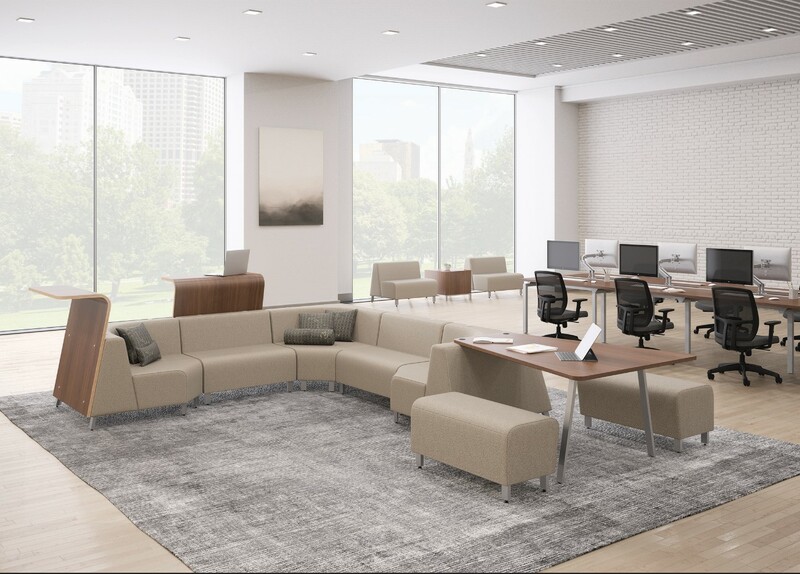 The Kozmic collaborative collection is a versatile solution for open plan spaces. 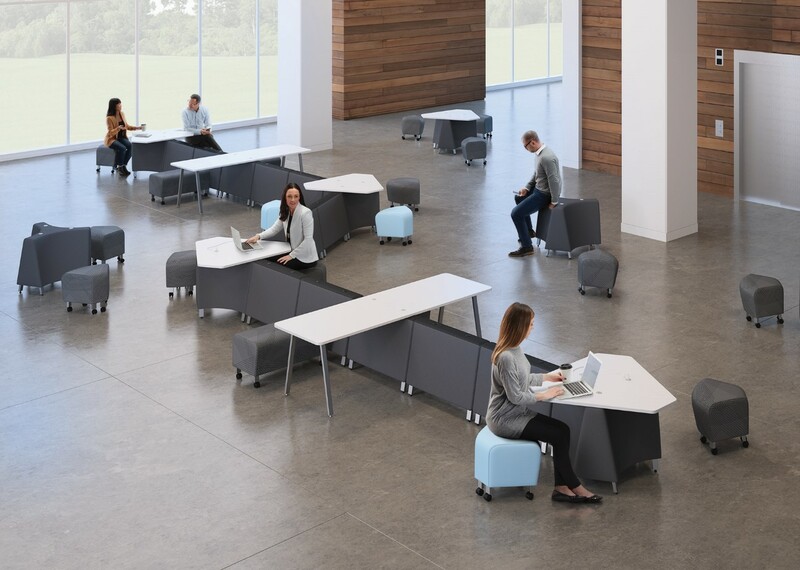 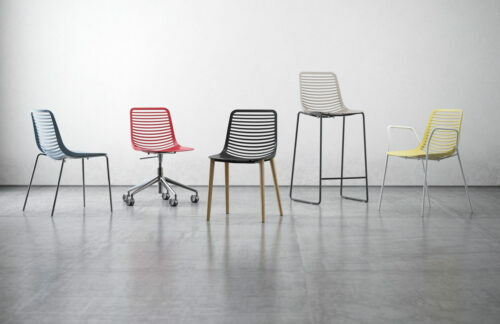 With a combination of spines, seating, and tables, Kozmic provides the ability to configure a solution that is comfortable for sitting, leaning, standing, and perching. 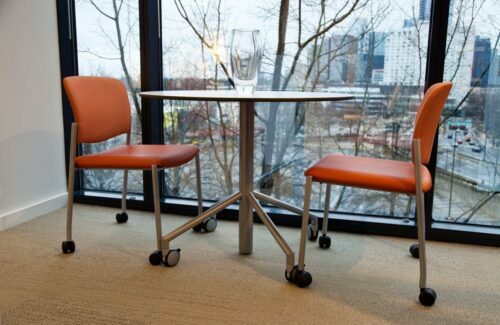 Kozmic’s spine based design provides the flexibility to outfit small to large spaces. 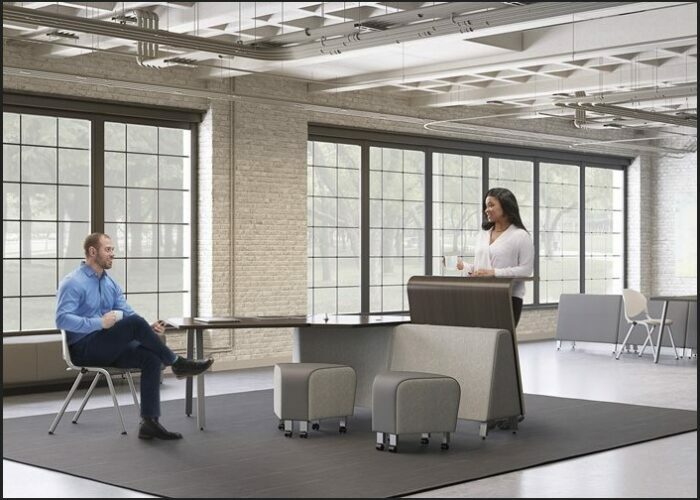 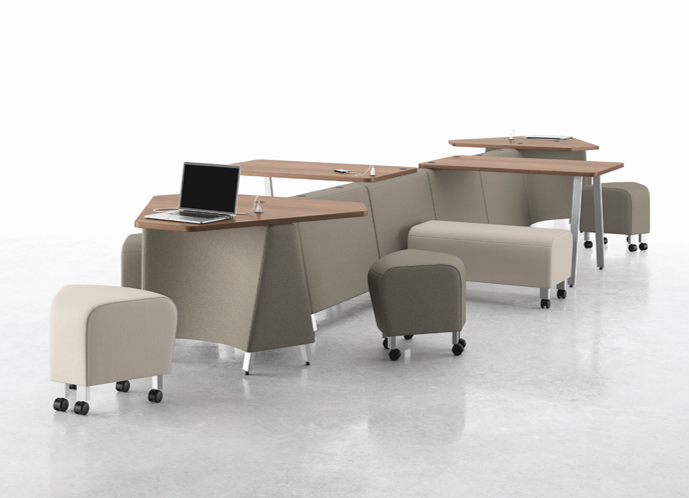 Integrated and impromptu seating options allow the user to truly design the space around their specific needs. 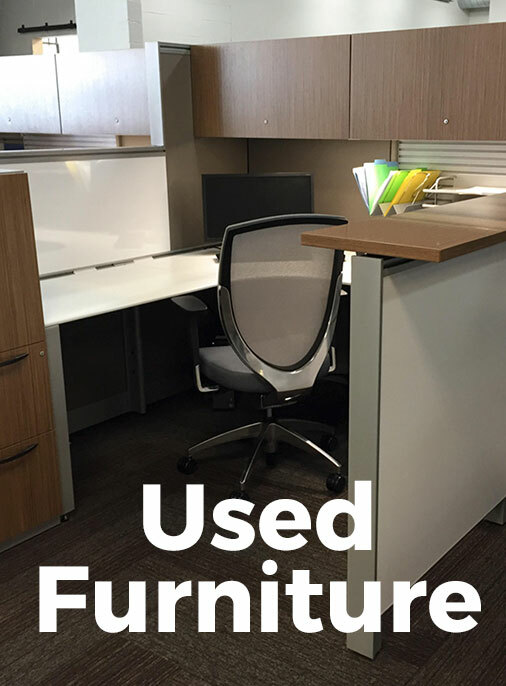 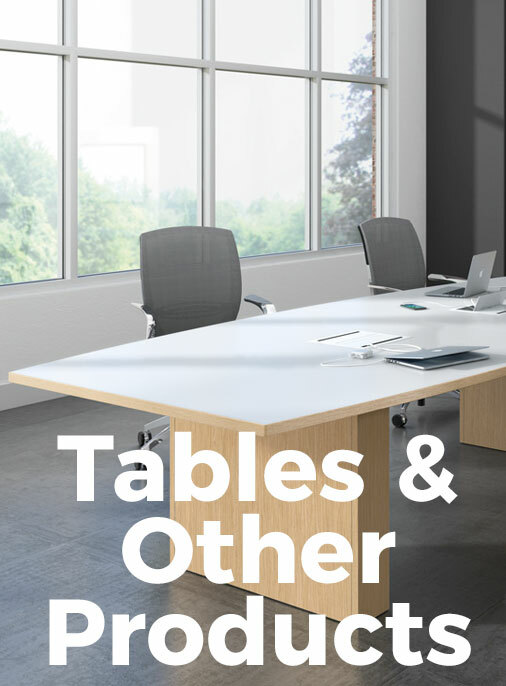 Add standard height worksurfaces or standing height bistro tables to accommodate the need for additional work space. 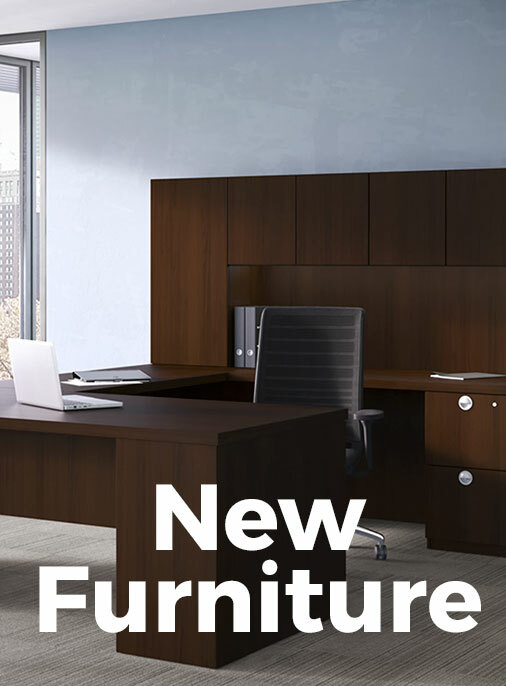 Optional power and USB outlets provide straightforward solutions to the ever-growing need to plug in and charge up. 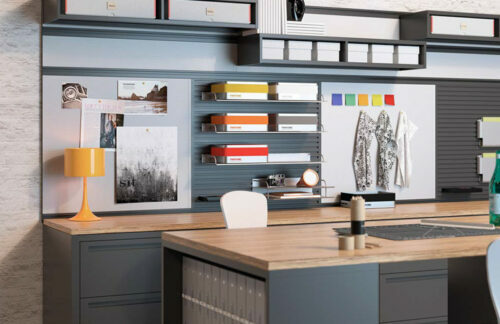 These grommets are integrated into Kozmic’s design, making them easy to locate and simple to use.